Mumbai’s real estate has become extremely expensive for both end users and investors hence, locations in the suburbs are attracting buyers and providing better returns on investment. A decade ago, the outskirts of Mumbai were known for the rapid presence of small and medium industries rather than residential space. 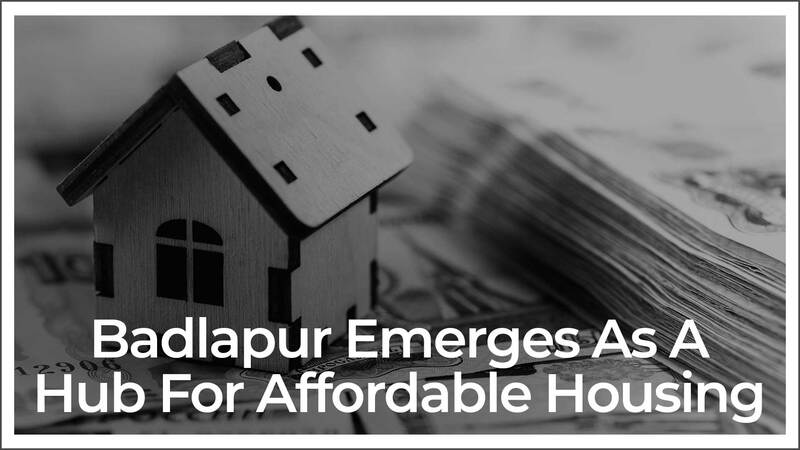 Over the past few years, places like Badlapur have emerged as a hub for affordable housing and have become one of the fastest growing areas in the outskirts of Mumbai. Having witnessed a monumental growth over the past few years in terms of connectivity and infrastructure, Badlapur offers reasonably priced properties to buyers as compared to other locations in Mumbai and Navi Mumbai. The location has several properties for buyers with housing options for mid and lower income segment. The cosmopolitan element of the location and the sufficing connectivity with Dombivli, Thane, and Kalyan draws buyers on the account of low prices. These things are making the location a fascinating hotspot for buyers. Property in this region will witness a fair appreciation in the prices since the demand for real estate in Badlapur will always be high due to the things it has to offer in a pocket-friendly budget. infrastructure. The properties are available at very attractive and affordable prices which is making the region a preferred destination for first home buyers. The town of Badlapur is connected with different modes of transit, including railways and highways. A key highway connecting Kalyan and Karjat passes through the region. The connectivity of the region through roads to Navi-Mumbai has reduced the travel time and the proposed airport in the Navi-Mumbai is just a matter of an hour from the town. Good train frequency during peak hours on the central suburban route makes it easier for people to travel for their work. There are several bus services, both within Badlapur as well as from Badlapur to other parts of the Mumbai Metropolitan Region (MMR) making the transportability better in the region. The Badlapur city development plan approved by the government has given a chance to investors and developers to make the best investment and develop the best projects in an emerging city like Badlapur. Education is one of the major aspects considered before buying/renting a property. Over the years, Badlapur has grown at an unprecedented rate. Introduction to international schooling has helped Badlapur to live and implement a lively lifestyle at a reasonable price. These international schools not only provide quality education but also ensure a change in lifestyle and approach towards things. development and emerging real estate projects make Badlapur a destination of choice for first-time homebuyers. joints and restaurants, as well as an upcoming movie theatre. Homebuyers can easily find houses in Badlapur at prices ranging between Rs 10 to 40 lakh with the cheaper monthly property maintenance charges compared to other locations in the vicinity.